Chelsea have suffered yet another blow in their pursuit of striker Wayne Rooney after Manchester United have rejected their second bid, as per reports from The Metro. Having already seen their first bid rejected, it was understood that the Blues increased the offer close to the region of £30 million for Rooney, who has his heart set on a switch to Stamford Bridge and is ready to hand in a transfer request if it’s necessary. The 27-year-old is unhappy at the Old Trafford club despite him collecting the fifth Premier League medal last season. 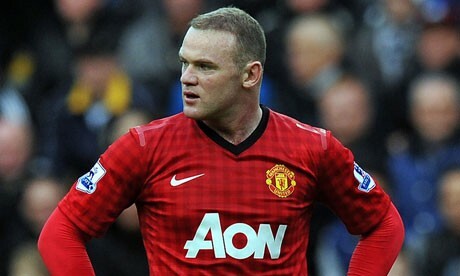 Rooney is eager to end his nine-year-association with the club and start a new chapter with the London giants. United are desperate to keep hold of their star man but Rooney’s position has been left untenable (leaving him angry and confused) further with manager David Moyes clearly stating that the England international will play second fiddle to Dutchman Robin van Persie this season. Meanwhile, La Liga giants Barcelona are looking to step up their chase for Chelsea star David Luiz, as they look to land a quality defender in the summer. The Catalan giants made a formal offer for luiz last month and despite an initial rebuttal, the interest in the player hasn’t died down. According to reports from The Daily Mail, Chelsea have slapped a staggering £45 million price-tag on the Brazilian and though Barcelona’s economic vice-president Javier Faus, insisted that money won’t be a problem while making a signing, it is understood that the Spanish champions are hoping to negotiate around £35 million. Finally, Chelsea’s highly talented young midfielder Lucas Piazon will spend this season on loan to Eredivise outfit Vitesse Arnhem where the 19-year-old will be joined by his teammates Patrick Van aanholt and Gael Kakuta.